We temporarily closed our order this year , we will open our oversea order in 2019. 1. Cookies are usually $ 5 to $ 8 each. 2. The price are depend on the cookie size and complex of design/ customer’s design, and there is no discount for large order. 3. 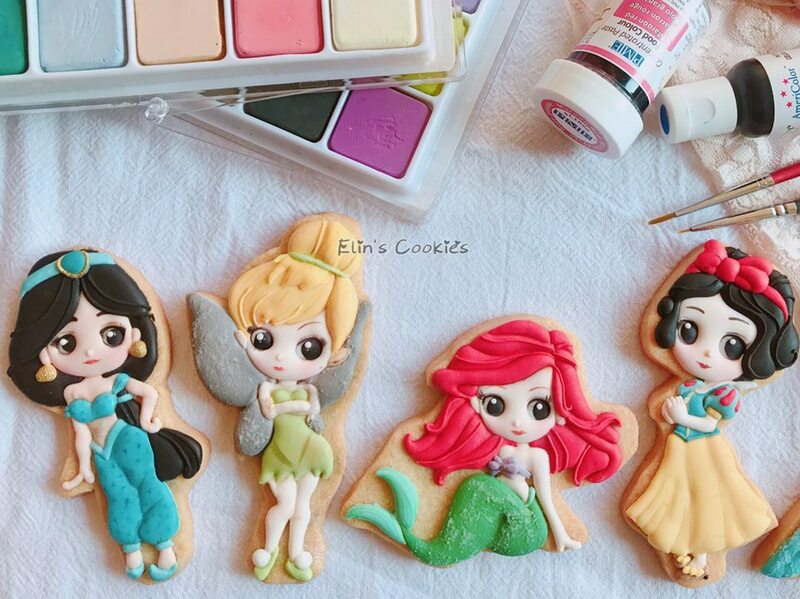 The order of customized cookies, we need at least 4 weeks to design and prepare the order, 1 to 2 week to ship by air. 4. You may leave the message like “Happy Birthday, name, date of memories" etc on the cookie. 5. Minimum order is at least 12 cookies. 6. Please contact me for a price quote. 1.Full payment is necessary, your cookie order will placed until the full payment is received. 2.Make payment as soon as possible to make sure your order is placed. 3.Payment may be made by paypal and Bitcoin. 1. The cookie are packages individually with hot sealed bags and bubble wrap. There is another shipping box fill with paper or bubble wrap to protect the cookie gift box. 2. Please contact me for delivery charge, the goods can delivered be everywhere where post office of Taiwan can deliver. The delivery date is about 10 to 14 days. ◎ Canada is about 86 USD need 5-6 days. ◎ Hong Kong is about 30 USD need 3 days. ◎ Macao is about 30 USD need 7-10 days. ◎ Malaysia is about 30 USD need 8-11 days. ◎ Japan is about 50 USD need 2-3 days. ◎ USA is about 70 USD need 5-7 days. 3. Please be aware that there is a risk to having your cookies shipped through the mail. Though the possibility is slim, the box could arrive late, cookies may break, or the box could be lost in. 4. Tracking your cookies online in Post Office of Taiwan or SF express. 5. Please keep the possibility of breakage into consideration when deciding how many cookies to order. 6. If your cookie box arrives severely damaged – take pictures, save all cookies and packaging materials, and submit a claim to Post Office of Taiwan or SF express. They may honor the claim. 7. It is hard for us to guarantee that your cookies will arrive on a certain date. I can only guarantee that we will ship them on an agreed upon date. The post office gives no guarantees on arrival dates with Priority mail. 8. By asking me to ship cookies to you, you should understand and agree to accept the risk of broken cookies, late arrival, or lost shipment. 9.Cookie packaged with bubble paper within a gift box, inside the small box there are kraft paper protect the gift box, outside the small box you can see another air bag. All we want to do is deliver the cookies very safe to the customer. Now the Royal icing cookie course is opening in Taiwan (Taipei, Taichung, Tainan, Hsinying) and Malaysia (Penang) , welcome the oversea baking studio cooperate with us.